This is a lovely balanced Moulin à Vent (gamay) from Martine and Pierre-Marie Chermette. 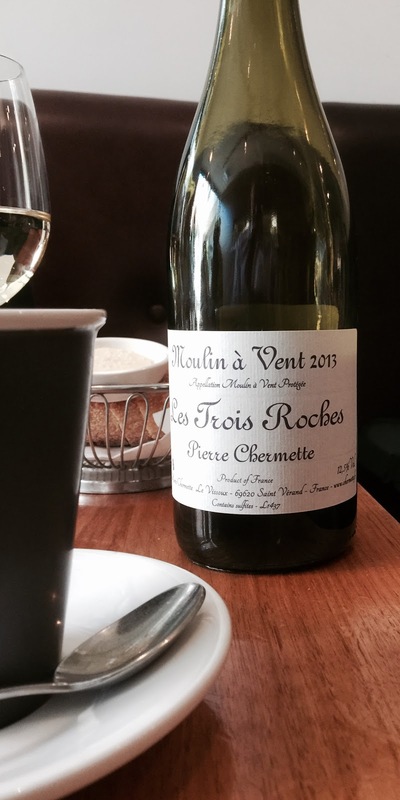 At just a little over $50, it is rather expensive for a Beaujolais region wine. The quality is however very good. Aromatics of raspberry and plums. The palate has mid range length and is fruity with some good texture and balance.